The other Saturday, Burns Night was an outstanding success; not only because of the wonderful food, wine and company, but as a fundraiser for our sports tours – providing the auction prize cash comes in – we will have raised over £4,000. 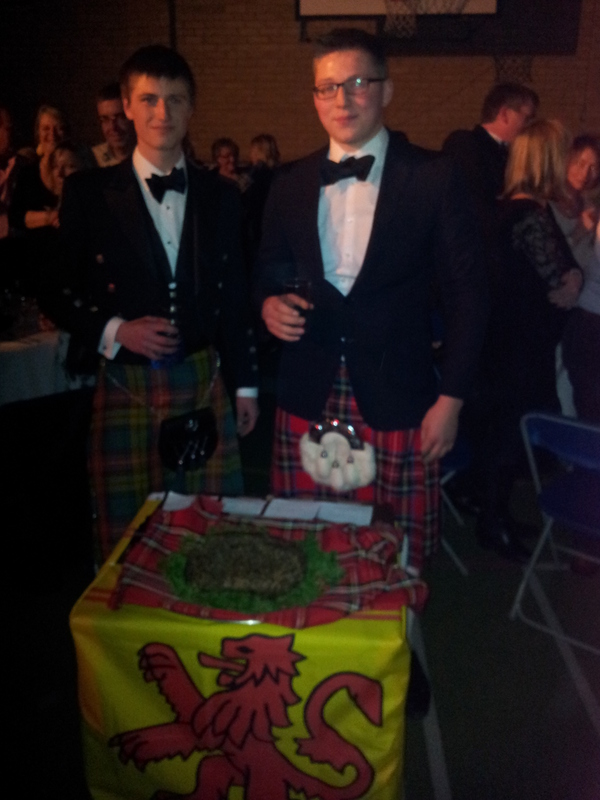 Well done Dom (and Andy), for speaking fluent Rabbie scots and to everyone for their efforts. It turns out our neighbours were a little upset by the noise emanating from the hall on the evening, and the police attended to check us out. Sound levels were well within tolerance, we were absolved of blame, but we had no wish to extend our licence beyond 11pm, and we were pretty much done and dusted by midnight. However, and here’s the rub. In order to encourage local suppliers of traceable meat, milk and veg, we do just that – use local companies. In order to make a living, the delivery drivers have to scout around the country when the roads are clear, so early deliveries circa 5.30 – 6.30 are inevitable. Despite our best efforts, on occasion this still constitutes a nuisance, and we are asked whether we can’t find someone who will deliver in business hours. Lots of words there of course, and the devil is in the detail. But when it turns out that British manufacturers of finished products are sourcing their meat products from the continent, we have a whole new take on ‘British’. It is not the first time that scares such as this have arisen, which is one of the reasons why we went local in the first place. Suffice it to say, we’ll keep with the local suppliers, keep testing them on the credibility of their supply chain, and if that means we have to keep the early deliveries, noise and all, then so be it. This entry was posted in Uncategorized and tagged horse meat, local suppliers, supply chain. Bookmark the permalink.